Product prices and availability are accurate as of 2019-04-24 23:02:13 UTC and are subject to change. Any price and availability information displayed on http://www.amazon.com/ at the time of purchase will apply to the purchase of this product. 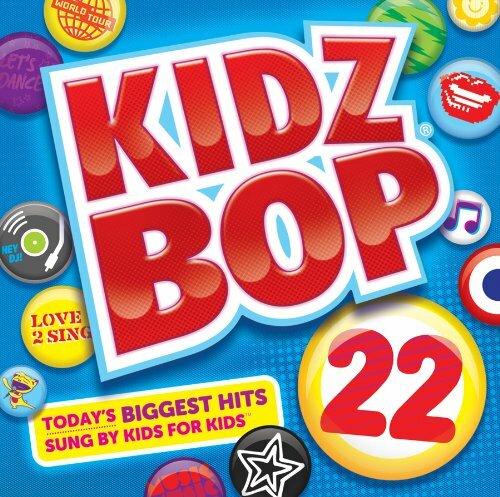 KIDZ BOP, the #1 music brand for kids ages 5-12 in the U.S., is celebrating the unique authentic voice of every kid with the release of KIDZ BOP 22! Staying in-touch and on trend with today's kids, KIDZ BOP 22 features 16 of today's hottest hits sung by kids for kids including "Call Me Maybe", "Starships" and "Somebody That I Used To Know".